Climate change researchers are peering into the past in hopes of anticipating the future, but as a group of British scientists reported at a recent Royal Meteorological Society meeting, the historical record is far from an encouraging sign of the planet’s fate. Some three to five million years ago, the icy environs of Antarctica were replaced by verdant swaths of green. In fact, Jonathan Amos writes for BBC News, the last time Earth’s atmosphere contained the amount of carbon dioxide present today, Antarctica was a plant-covered oasis, sea levels were an estimated 10 to 20 meters higher, and global temperatures were an average of 2 to 3 degrees Celsius warmer. 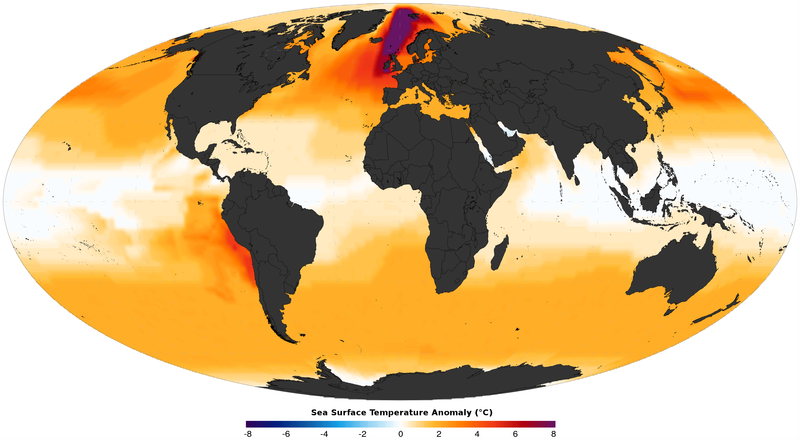 In the Arctic, summer temperatures were a full 14 degrees higher than they are now. These conditions, seen some 2.6 to 5.3 million years ago during a period known as the Pliocene Epoch, are a far cry from our current climate. But if decisive steps to combat global warming are not taken soon, researchers warn, history may be poised to repeat itself. The ratio of carbon dioxide molecules found in the atmosphere reached Pliocene levels of 400 parts per million, or ppm, in 2015. Comparatively, Damian Carrington notes for the Guardian, carbon levels during the Industrial Revolution — when temperatures were an average of one degree Celsius cooler — hovered around 218 ppm. 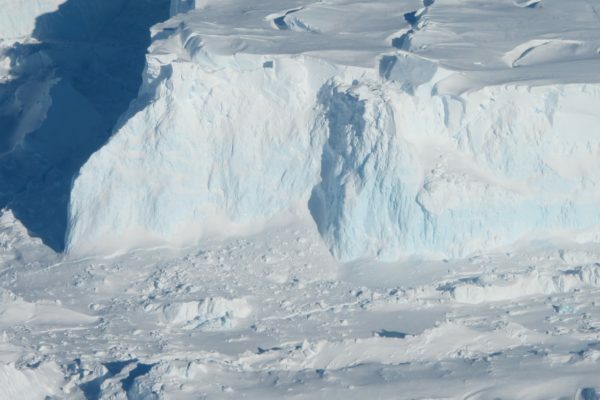 As Metro’s Jeff Parsons observes, meeting chair Martin Siegert, a geophysicist and climate change scientist at Imperial College London, says there will be a “lag” before the most devastating effects of crossing this threshold come to light. 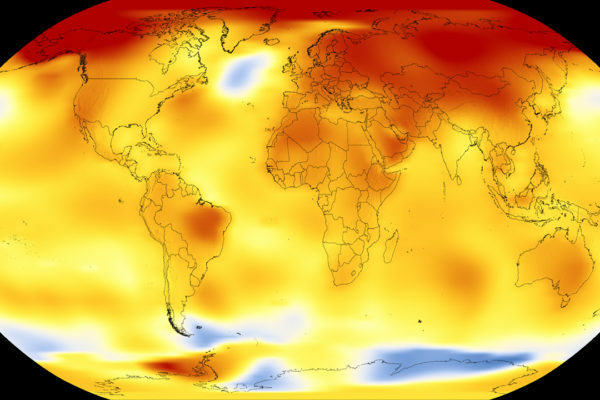 Although the rate at which carbon levels have and still are rising suggests Earth will experience an unavoidable temperature uptick of 3 to 4 degrees Celsius, this warming is expected to happen gradually over the next several centuries. Large-scale melting capable of elevating sea levels and turning Antarctica’s icy landscape green will, in turn, take closer to a few millennia. As the Guardian’s Carrington reports, fossilized plant and tree remains attest to Antarctica’s once-verdant environment. At Oliver Bluffs, located some 300 miles away from the South Pole, beech and conifer trees flourished alongside cushion plants and mosses. In other spots across the continent, according to a presentation by British Antarctic Survey Director Jane Francis, flora including ferns, Monkey Puzzle trees and ancestral predecessors of plants currently found in South America, Australia and New Zealand thrived. If carbon emissions continue at their current rate, Siegert warns Metro’s Parsons, Earth could reach a staggering 1,000 ppm by 2100. When carbon levels rose to this level during the Cretaceous Period some 100 million years ago, the planet was a very different place: Dinosaurs ruled, for one, but more germanely, Antarctica was far warmer and covered in vast swaths of forest. To ward off this unwelcome scenario, Siegert says humans must work to restrict this century’s temperature rise to 1.5 degrees.